Break chocolate into small pieces and melt in double-boiler with butter. Remove from heat. 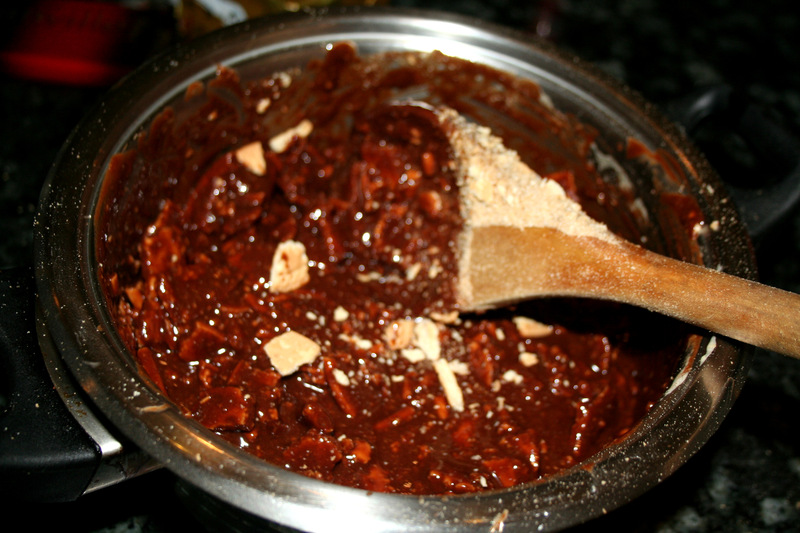 Beat eggs and sugar and gradually add to the chocolate mixture. Break biscuit into small “bite-size” pieces and blend into the chocolate pieces. Pack into two used, clean tins and leave in the fridge for 3-4 hours. Open the bottom of tin and push out the hardened chocolate mixture. Join the two “logs” together. Decorate with whipped cream and grated chocolate flakes.